Okay, here it is, the new "Official Chrysler A833 Trans Conversion Blog. I will be adding a lot of info and content very shortly. The first item on the "agenda", this blog is for the Chrysler A833 Conversion, and I will not tolerate entries on any other trans conversions without my explicit permission. 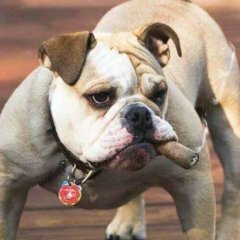 This blog is purchased by me, and will be managed for content entry by me, so if you want to debate, argue, criticize go elsewhere or start another blog. The essence of this Blog, is a Mopar for Mopars solution, and I will ask all entries to respect this, or posts will be deleted.thank you. 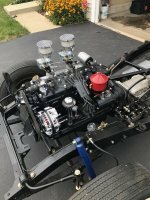 Okay,so this Blog will document, outline and detail a Chrysler A833 Overdrive Transmission swap into a 1955 Fargo pickup truck. This truck has a 228 Canadian Long block engine, dual Carters B&Bs, and dual exhaust. 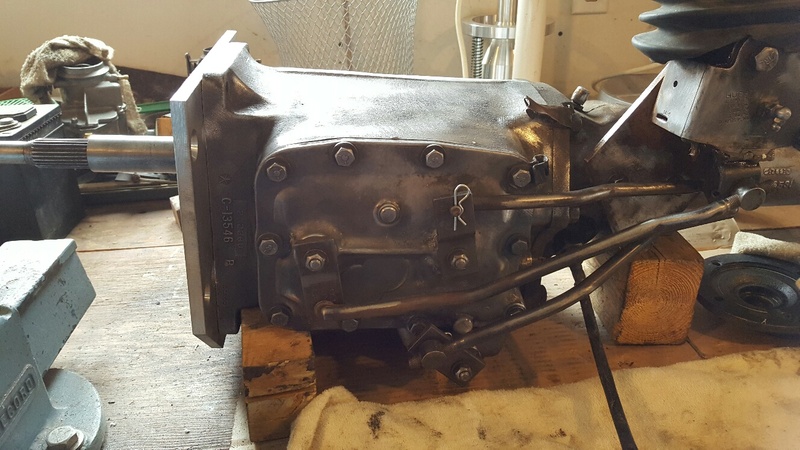 The bell housing is the heavy duty type for 4 speeds with the bigger bolt pattern. 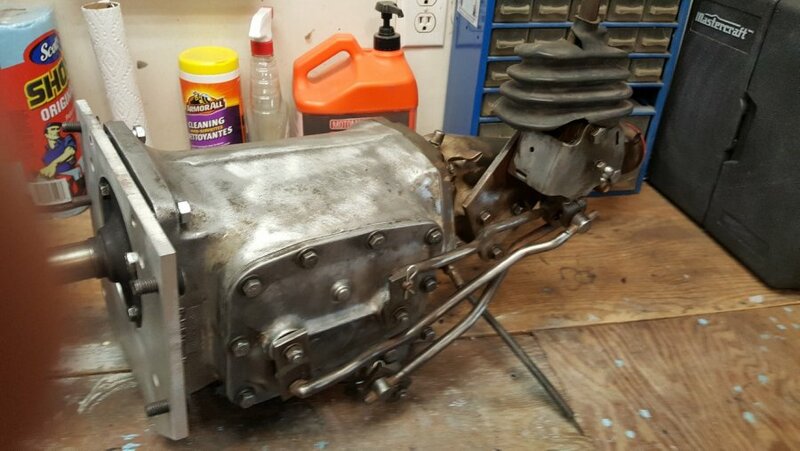 The donor transmission is a Chrysler A833 4 spd Overdrive, 23 spline input shaft, aluminum case cast iron tail shaft and 30 spline output shaft, shifter is the infamous Hurst shifter, a factory stick. This trans is from a 1979 Dodge pickup truck. The "Adapter" plate is courtesy of AoK Racing. The new clutch disc, and rebuilt pressure plate will be supplied by Quality Brake and Clutch in Winnipeg Manitoba. 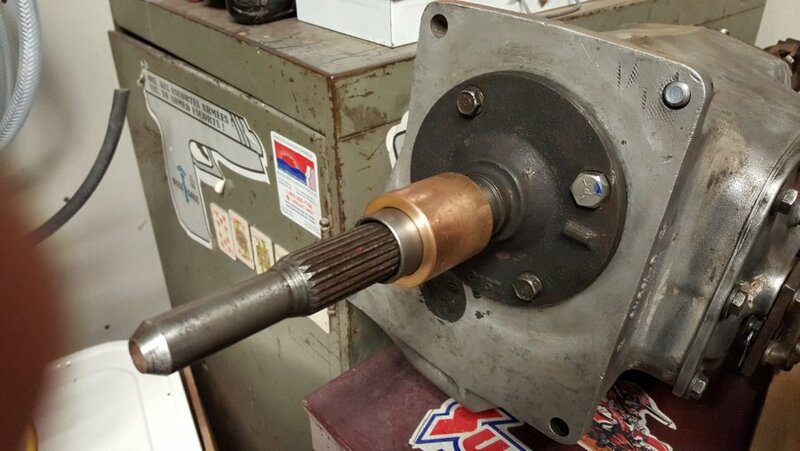 The trans will be going to a very reputable and qualified local trans builder, where it will get inspected, and any item that may be necessary will be replaced, but these transmissions are truly a "bullet" proof wonder, most likely will need gaskets and seals, and the very most shaft bearing sets. I have a donor drive shaft, fresh u-joints, and will be going into the final phase of this swap in the very near future. I invite all those interested or experienced in this conversion to join in, also a very friendly welcome to any who are just wondering or may be considering a trans swap, but want to look into all options before making uninformed decisions. 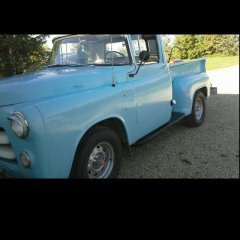 Here is a You Tube video of my truck with the T98 Acme trans 3.23 Mopar 8 1/4 diff. For illustration purposes, this trans from 2nd to 4th, has a gear spread the same as the A833 from 1st to 3rd. Now even with a 3.23 rear gear, this trans is more than adequate in the gear ratios and spread, a gear spread and ratio with higher numbers, for example a 4.03 1st, and a 2.37 2nd and 1.49 3rd, would have you shifting almost immediately from 1st to 2nd, and not overly long till you hit 3rd, not my idea of fun. There are others for example, 3.67 1st, 2.19 2nd and 1.39 3rd would be better, shifting from 1st to 2nd would be pretty quick. Add 3.55, 3.73 or even 4.11 gears, and 1st is useless altogther in some cases. Okay the next short video is of the A833 transmission, keep in mind this trans is going to a pro in order to inspect it for wear and tear and any parts replacement it may need. Okay, so here is my truck on the highway with the T98 A 4 spd stock trans, in 1:1, at 65 mph spinning about 2700 rpm, and with an overdrive it would be around 1900 RPM. How much was the conversion plate? Great to see you jumping into the blog-a-sphere. Looking forward to many great topics on the "Up and Coming Flathead Mopars"! Thanx Tim, most likely will focus on this Blog Topic, and some others relating to Hi Perf Flathead topics. 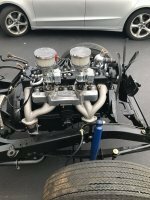 I am currently not participating in the "Open Forum", where some people with a specific agenda continue to berate and question why A Mopar freak wold want a Mopar solution for an overdrive trans. Okay so another New Year has begun and its been quite a while since I updated this thread. Been super busy with many other things, do now getting some time for this project. Dropped off my A833 to a local trans guru yesterday. This gent has a super large home shop he us a drag racer and predominantlya Chevy guy gor that stuff. Last night got a call from him, he informed me all looks good but front inputshaft bearing and thrust washes seals gaskets etc. He stated the gears looked great. So next step is the clutch, but first have to pull trans and clutch from truck for rebuilding unless i can source new stuff first. My clutch is not old so might just swap friction discs, as it all gets pulled again for the 265 swap. Will post pics soon . Circle the wagons T5ers A833 boys are riding into town. Hey all here is an update, unfortunately any and all further info on this swap will be contained to this blog, as troublemakers insist on sabotaging any open forum threads and dialogue. Early January, the A833 was rebuilt minus new gears, all in great shape and ready for the "trans plant". Last Sunday got ready and pulled the T98 Acme truck trans, no small feat in a home garage, no hoist, no trans jack. Put front end of truck up on stands, pulled floor plate, and go to it, will not belabor the minor details. Got the trans out, lowered to floor with a small floor jack some wood blocking and a small ratchet strap. Once trans was out, 2 details, 1) the trans bolts are tapped 5/8 UNC, and adapter plate is designed for 7/16 holes and fasteners, nota big deal though as once the trans was pulled, my dual pattern bell revealed the smaller 4 pattern 7/16 holes, as is on the AoK adapter plate. It attaches well as you will see in this picture. So 1 noticeable issue, the T98 Acme, has a 13/8 input shaft, and the A833 is 1 inch, so at first thought, decided I would buy a smaller diameter release bearing and holder. 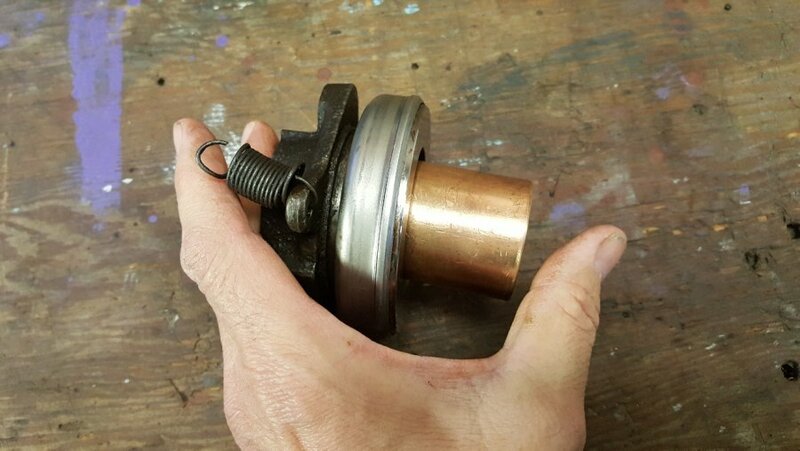 I thought about this some more, and decided to purchase a new larger release bearing SKF N1087, and use the correct size bronze bushing to reduced the entire throwout bearing for the A833 input shaft collar, it works like a charm. 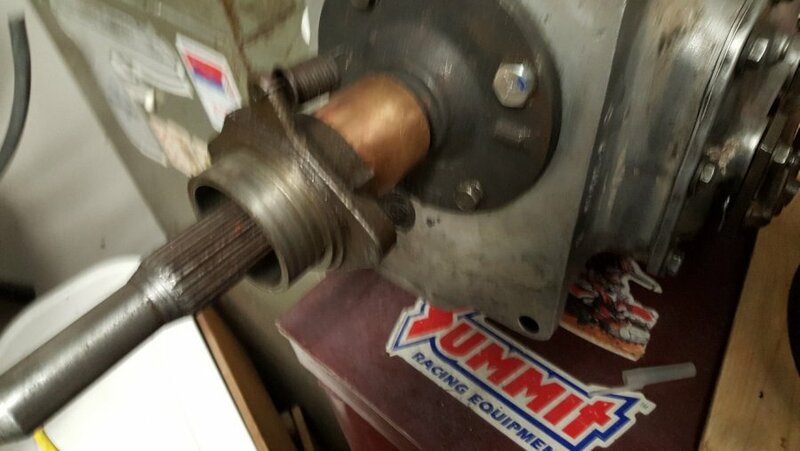 The bronze bushing reducer, is not pressed into the holder yet. 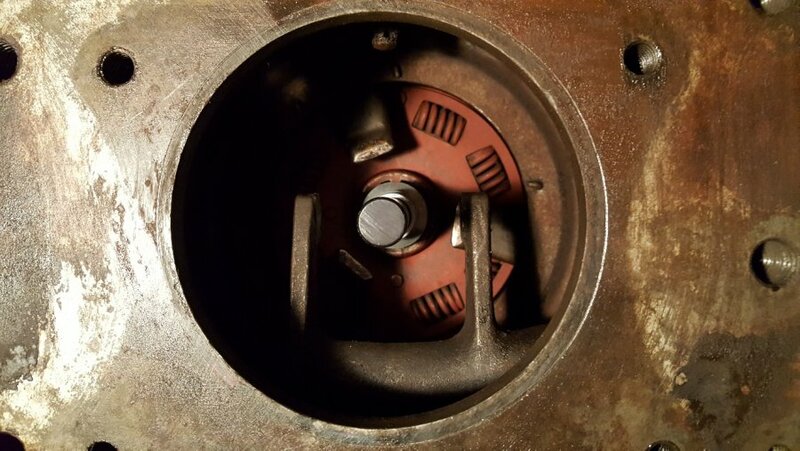 Here is a peak inside the old T98 Acme trans, BTW these transmissions were used exclusively on all Canadian built M37 Power Wagons, along with a 250 engine, and Acme PTO transfer case.. It looks not bad inside, it did have a little water in it, when I got it..
A very tough brutish trans, I wonder how it made its way into my little 108 WB Fargo, I also had a 1955 Dodge 1 ton with an identical trans, so possibly in the C series trucks, Chrysler Canada had an excess of these and were using them too, I cannot verify this one way or another..
Just a suggestion to place this Ad in the applicable category too. I don't mind it being on this Blog, in case someone is looking for an A833. Man where were you a weel ago. I already purchased one from ohio. Any more recent updated info on this build/thread? Hey all, been a while again and I apologize for the delay on the A833 happenings. The AoK adapter plate and my Canadian built T 98 Acme bell are having an issue. While the adapter plate does bolt on the bell housing in the smaller 4 bolt pattern, it cannot bolt onto the 4 bolt pattern that my T98A trans attached to. 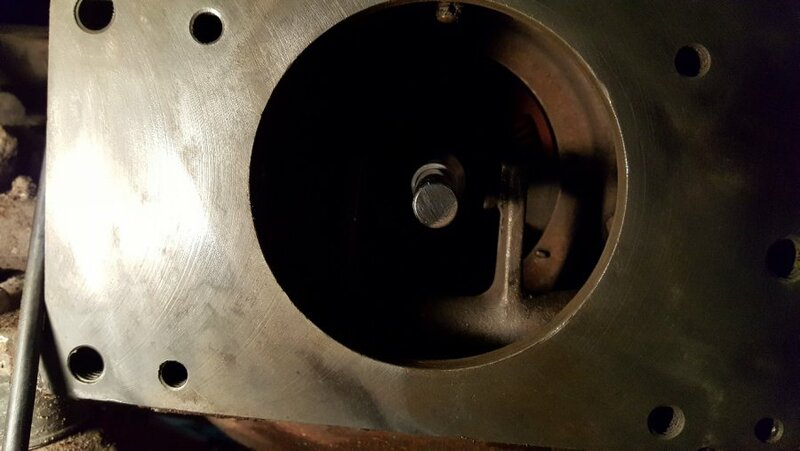 Now this is because of the following, the 4 bolts to hang the T98 A are 5/8 threads, so the adapter plate is designed for 7/16 bolts, next issue is, the 4 inner bolt holes to align to this bell, but, now the plate center input hole is not dead center to the bell housing hole or the crankshaft. This T98 A trans was used in Jeep, Ford and Canadian built M37 Power Wagons, not sure how it ended up in my light duty 108 WB Fargo pickup, nor will I ever know. So this project is ground to a halt for the time being, but we are looking at solutions while I type this, for my case only. I cannot attest to any 1940s through 50s USA car/truck bells or Canadian built bells, not using a T98A transmission. I apologize for the delay and hope to bring more updates to the "table" when possible. Some pics for those to have an idea what I am up against. 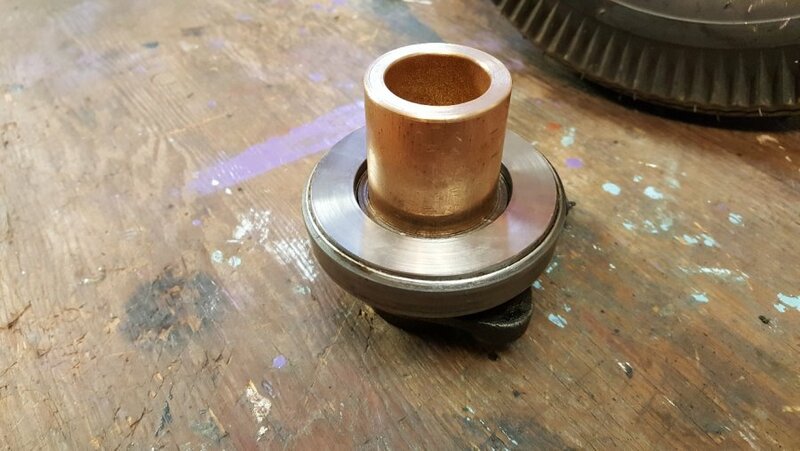 I did create a bronze bushing to reduce the throwout bearing assembly to work with the A833 input-shaft, which turned out very well, and its super simple. The car type and smaller truck type throw out bearing work as is. 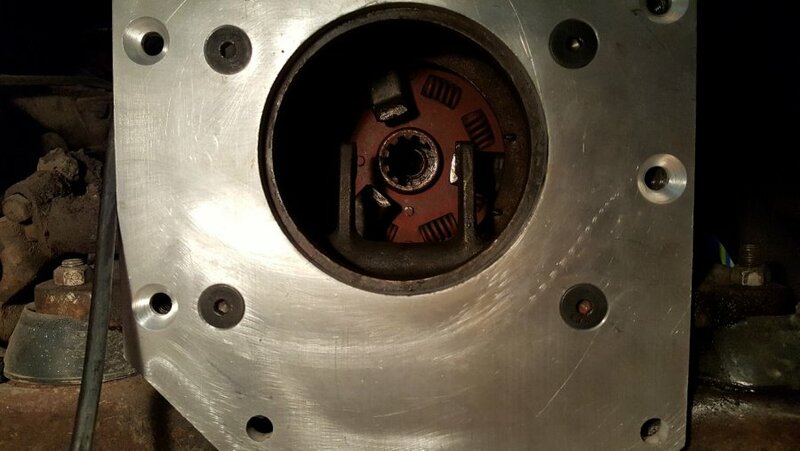 a 10.5 or 11 inch Mopar 23 t clutch disc is whats needed with your stock flywheel and clutch, again a simple part of the equation. If the plate was aligned to register dead center on my odd ball bell it would be such a simple swap, it's not funny. 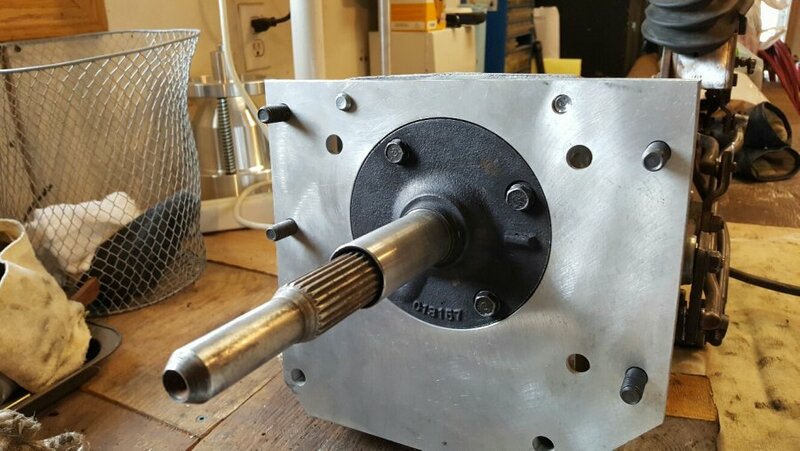 The A833 input shaft with the adapter place is the correct length. Its basically the same length as the T98Acme trans input shaft minus the plate. So a correct for for the pilot bushing and crank end. other considerations for the time being, my diff gearing is 3.23 , this with a .73 overdrive is a little tall for my engine power and the truck, a 373 would be best, at the very least a 3.55 and the most a 3.90 set of gears. 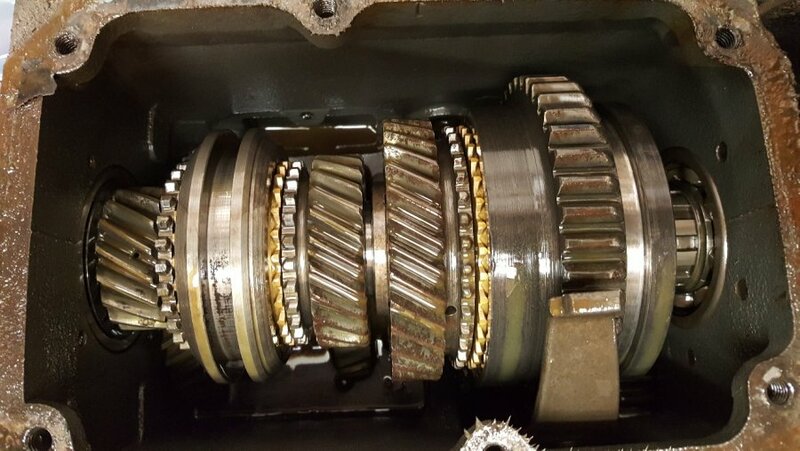 I do not see any issue with the gear spread from 1st to 3rd gears, as it is essentially the same as my T98 A from 2nd to 4th gears. The T98 A is back in for a short time again, a very heavy trans, and fun to put back in. I'm really not trying to push it. I'll install it in one of our 30s car or truck. Thanks for the heads up. Good info on your build. LOVE KNOWLEDGE!!!!! I had the same issue with the size of bolts on the bell housing being larger than the 7/16 that were supplied. The bell housing is actually tapped for 9/16-12 instead of 5/8. I drilled out the adapter plate to accommodate the larger bolts and used standard bolts as flat head screws (like were supplied) are not available in 9/16. I had to file a few holes to get it to fit, but everything is looking good. 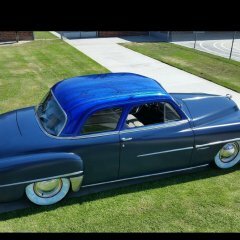 Hey all, did not post much lately on this swap, all has been on hold and hope to get back at it soon. The AoK plate while a great quality piece, was not going to work on my large truck bell housing, thats what my Canadian built truck with a T98 Acme trans is equipped with. Not what was expected, but this particular bell was not engineered to work with the adapter plate, but another is being engineered as I write this post, so stay tuned. 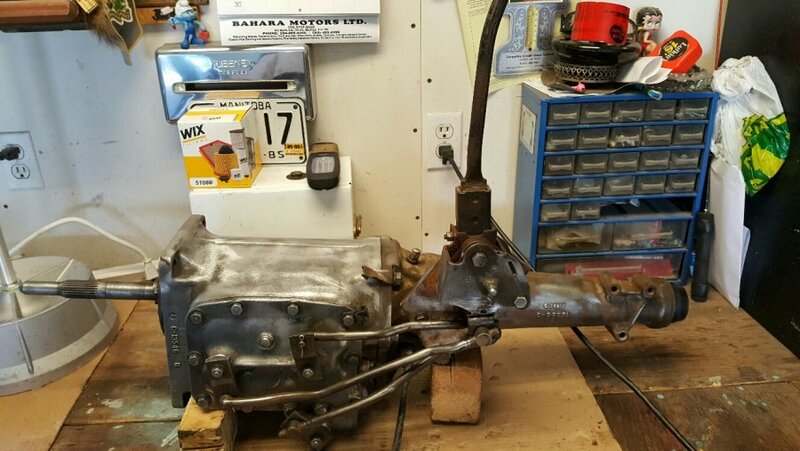 But here are pics of Harry37s build from the HAMB, his A833 trans and AoK adapter plate coupled with his Chrysler flathead 6. I was recently approached by a member as to what was happening with this swap, and no I have not given up or failed on the switch, just a roadblock.